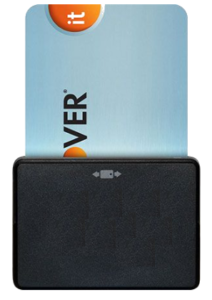 Mobile Phone Swiper is a mobile payment processing solution that was made specifically with you and your business in mind. 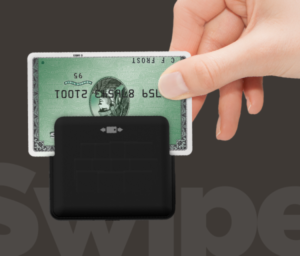 Powered by North American Bancard, Mobile Phone Swiper offers your customers an expanded range of payment options and allows you to conduct credit card transactions anytime and anywhere. North American Bancard’s dedicated research and development team has built a best-in-class product in mobile credit card processing – one that responds to your desire for an easy, secure, and cost-effective way to process credit card transactions wherever your business may take you. With easy setup, superior functionality, and 24/7 support, Mobile Phone Swiper is a convenient solution built just for you. MobilePhoneSwiper is a broker for PayAnywhere - PayAnywhere ("PA") is a registered Third Party Agent of BMO Harris N.A., Chicago, IL. American Express may require separate approval. PA is currently available only in the United States. iPhone and iPad are registered trademarks of Apple Inc. App Store is a service mark of Apple Inc. Android and Google Play are trademarks of Google Inc. Other designated trademarks and brands are the property of their respective owners. Merchant account administered by North American Bancard. North American Bancard, LLC is a registered ISO of Wells Fargo Bank, N.A., Concord, CA, The Bancorp Bank, Philadelphia, PA, and BMO Harris N.A., Chicago, IL.